Jane, the mooncakes look nice to me. I dun even dare to attempt as I know my failure rate is super high :P.
This season I kept thinking about this teochew mooncake but am too lazy to brave the crowd to get a box. Will I attempt it myself, nah i doubt so. Just too much work just to make that batch of yam filling. you are really hardworking. I'm sure you can make it once you try it. I was skeptical at first too. However, I took up the challenge, tried it and it was okay! You should really try it. 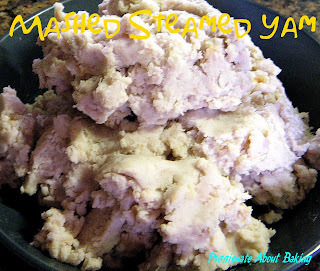 I didn't have time to go out to buy instant yam paste, so I had to do it myself. It was like...no other choice. :p You should try it too, I'm sure it will turn out well for you! After rolling it up like swiss roll, it's like a horizontal "--". 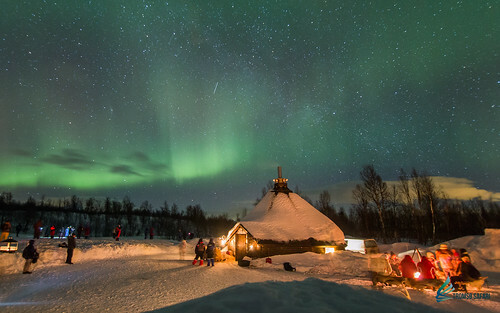 Then a quarter turn will become a vertical "|". Get what I mean? 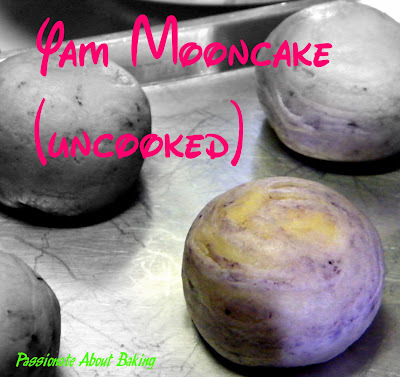 I've never tried yam mooncakes but I imagine they would be really delicious! I love the swirls on your mooncakes- so pretty! Hey Jane, that's good you didn't keep your promise so that I might able to have a piece of this mooncake :P There look really pretty! 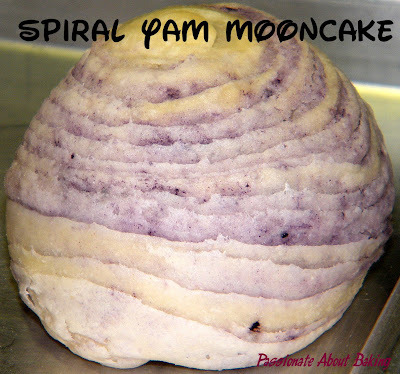 Ur yum mooncake is very pretty. I really salute u to make from scratch. Thanks. Aw, I regretted making from scratch actually. 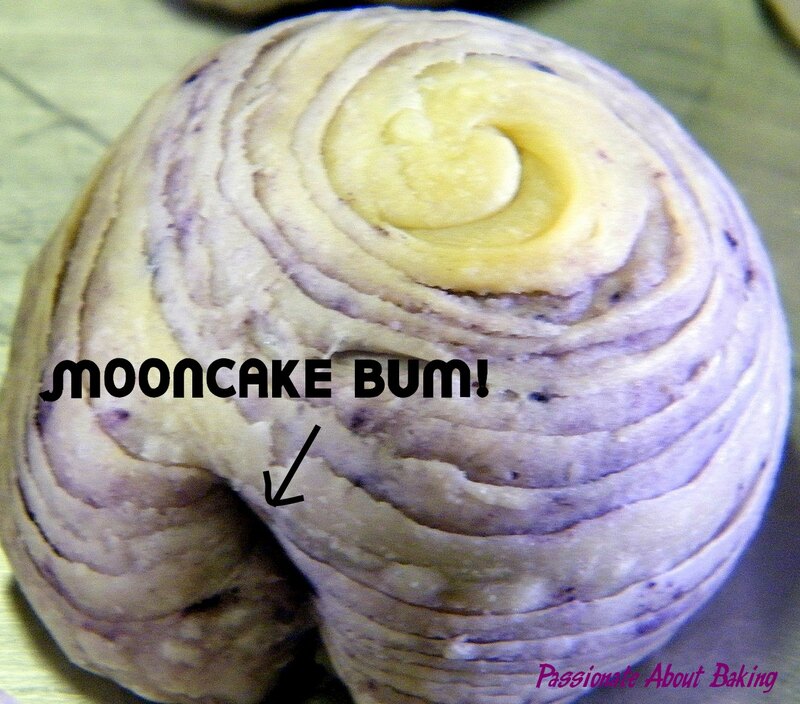 Hahaha...I should have bought ready made yam paste. Save more time. 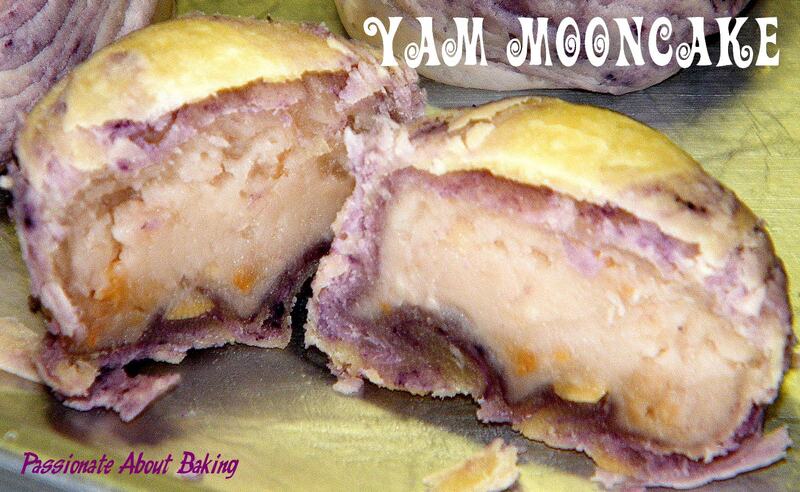 :) You should try making if you like yam mooncakes.